Our experienced senior staff know exactly how often this occurs. With their extensive knowledge of the internal processes of each supplier, we can resolve and clarify where mistakes are made. Errors do happen, whether down to billing, meter reads or bad practices, our mediation service will resolve any dispute thoroughly to the mutual satisfaction of both the client and supplier. 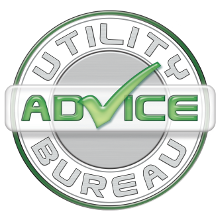 The Utility Advice Bureau can by request validate accounts up to a period of six years, reconciling each account. This will then form part of the Energy Dispute Mediation service. Due to the forensic analysis and time undertaken in identifying any mistakes throughout this period an additional cost per site will be imposed. But this will be disclosed in writing on request and can represent a very small percentage of any monies refunded from the supplier on completion of the forensic analysis. Often the energy consultants at the UAB can identify further savings on Electricity agreements by re profiling a commercial business meter. This is an information exercise about how and when your business uses its electricity. If an incorrect tariff is identified we will then calculate how this can be used to reclaim excessive expenditure from your supplier!